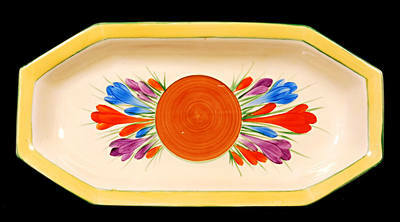 Sandwich Tray in the Crocus pattern. No damage or restoration. Size is 11.75 inches long. Not marked. Shape number 334. Price £185.